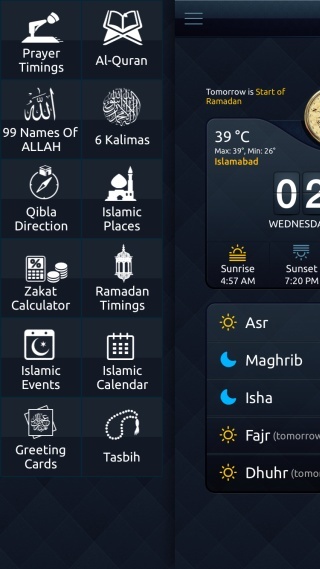 By default, Muslim Mate detects the current location of the app automatically and portrays the prayer timings associated with it. The users can get to know the prayer timings of any geographic location of their choice. All one has to do is to type in the custom location in the search box and the app automatically displays the prayer timings for that location. The app features embedded Google Maps to search and explore locations all over the globe. Prayer timings can be displayed in relevance to Gregorian solar calendar as well as Islamic lunar calendar (also known as Hijri calendar). Muslim Mate maintains a comprehensive archive of the prayer timings for the past dates. Similarly, based upon its high-end predictive algorithms, the users can also find out the prayer timings for the dates in the near or distant future as well. Another distinctive feature included in Muslim Mate is that the users can get the monthly prayer schedule printed. Moreover, the users can select the starting date of timetable and also opt for the inclusion of sunrise timings in the timetable as well. A number of sharing options are available in Muslim Mate. The users can share the prayer timetable via AirDrop feature in iOS, Email, Twitter and Facebook. Other options include Save Image, Assign to Contact and Copy. 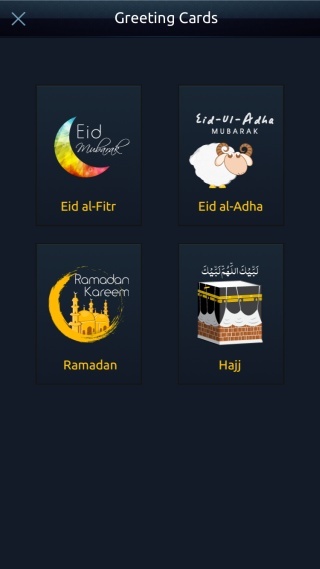 The Prayer Timings feature in Muslim Mate allows the users a number of varying options to customize it in line with their individual preference and regional settings.